There were actually two visits by groups from Apple to Xerox PARC in 1979. Steve Jobs was on the second of the two. Raskin, who helped arranged both visits, explained that he wanted Jobs to visit PARC to understand work that was already going on at Apple. The Macintosh project had escaped the chopping block several times, and Raskin had tried to explain to Jobs the significance of the technologies it was incorporating. By showing that other companies considered this kind of work exciting, Raskin hoped to boost the value of the Macintosh’s work in Jobs’ eyes. 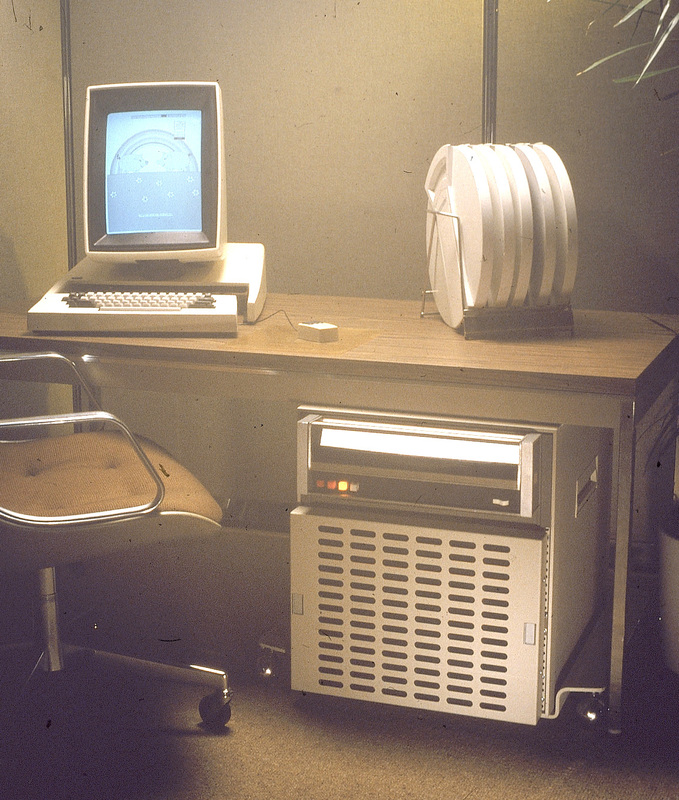 Raskin, who had been charged initially with the Macintosh project at Apple, tried to convince the Apple management to employ a graphical user interface like the Alto contained in the development of the Lisa. According to Raskin, it was not until Bill Atkinson supported him that Jobs set out for the PARC. Whatever way the contact was actually accomplished, this visit meant a turning point to the life of Steve Jobs; the three technologies that the 24-year-old encountered there were each revolutionary on their own: the first graphical user interface for computers; networked Alto computers; and object-oriented programming. Steve Jobs about his visit to Xerox PARC – Clip from Robert Cringley’s TV documentation “Triumph of the Nerds“. Jobs decided to realign Apple’s strategy and fully rely on the “graphical user interface” (GUI) he had seen at the Xerox PARC. Steve Jobs hab no idea that Adele Goldberg had tried to convince her bosses not to do the presentation in beforehand. She argued against doing it for three hours. He (Steve Jobs) came back and I almost said asked, but the truth is, demanded that his entire programming team get a demo of the Smalltalk System and the then head of the science centre asked me to give the demo because Steve specifically asked for me to give the demo and I said no way. I had a big argument with these Xerox executives telling them that they were about to give away the kitchen sink and I said that I would only do it if I were ordered to do it cause then of course it would be their responsibility, and that’s what they did. Larry Tesler, who then took part in the demo as an employee of the PARC, had been fascinated by the visitors: “After an hour looking at demos, they understood our technology and what it meant, more than any Xerox executive understood after years of showing it to them,” Tesler told Robert X. Cringley in the PBS-Show “Triumph of the Nerds” (1996). But to be fair: The movie does not tell the whole story: Yes, the Macintosh team got an important demo (PARC was compensated with a pre-IPO Apple stock deal). They took up the ideas of the Xerox PARC, but it also changed numerous operating modes and added countless new features. 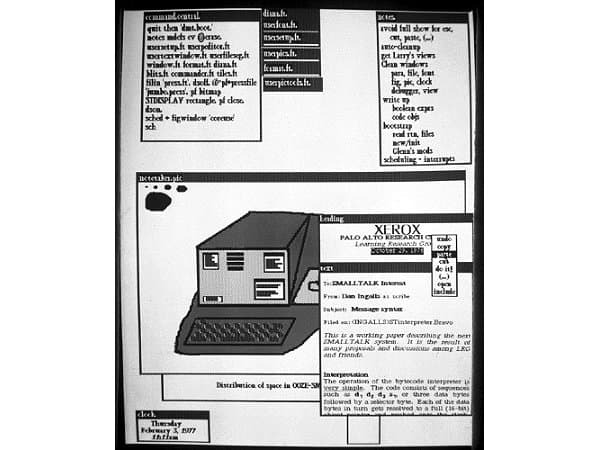 Accordingly, the Xerox Alto did not imply, for example, menus flapping down from the upper edge of the screen, but operated with some kind of a pop-up window instead. Moreover, the window did not open automatically by double-clicking on a document, but had to be opened manually. During months of painstaking work, Atkinson had written the QuickDraw routine for the Lisa and the Macintosh, which allowed for overlapping windows to be drawn on the computer screen for the first time.